Have you ever considered what it would take to get you to stop driving your car for a month? Would you do it for unlimited access to a horse and buggy? A chaffered limo? Some free snacks? Or, how about a cool $500? If that sounds like a solid deal, you're going to like a new promo from Lyft, which is offering people $500 in alternative transportation credits to refrain from using their car for 30 days. The new Ditch With Lyft promotion kicked off on Wednesday in 35 major markets served by the popular ride-hailing service, and is an effort from the company to help "creat[e] a better future for our cities, our planet and future generations" by reducing the number of cars on the road (while, obviously, driving up how much you rely on using Lyft, duh). 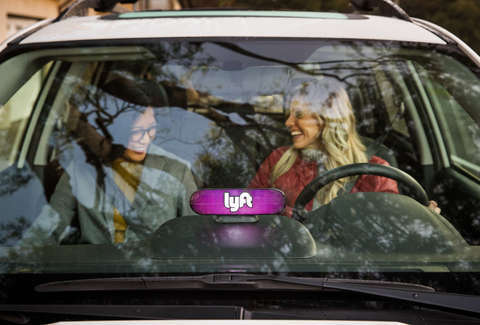 For those who get picked to join the program, the company will offer a month's worth of transportation credits to use Lyft Shared, Zipcar, local transit, and bike share services instead of hopping behind the wheel. Starting on September 26, people in 35 cities willing to ditch the hassles of finding a parking space and paying for gas can apply for the deal, though not everyone will necessarily get it. Lyft will randomly select 50 participants in each city, and notify those chosen via email along with the transportation credits. The challenge then kicks off on October 8 and lasts through November 6. It's worth noting that the value of the transportation credits will vary widely depending on the city you're in. So, for example, selected New Yorkers are getting a deal worth $445 that includes a $300 Lyft Shared credit, a one month Zipcar membership (plus $100 drive credit), and a $14.95 Citi Bike credit. In Los Angeles, it's valued at $677 and comes with a $300 Lyft Shared credit, one month Zipcar membership (plus $100 drive credit), a one month BlueLA electric carshare (10 hours free), and one month passes each for LA County EZ regional transit and LA Metro Bikepass. And in Washington, DC, the deal is worth $746, as users will get the $300 Lyft Shared credit, one month Zipcar (plus $100 drive credit), a one month Metro pass, and a one month Capital Bikeshare membership. And while the whole promo is about getting people to quit driving for a month, it's unclear if or how Lyft plans to even enforce such a thing. It's also not clear that you even have to prove you own a car to enter. So, really, it may be worth throwing your hat in the ring for a chance to simply get your commuting costs covered for an entire month.